Today is the sketch challenge over at Taylored Expressions and I am both sad and excited to play along! I am sad because this is the LAST sketch challenge at Taylored Expressions using the TESC :( I remember when I started blogging, playing along with Taylor's weekly sketch challenges was always such a fun way to get my creative juices flowing.... So sad that it is ending - but so thankful to Taylor and all the sketch gals who have been making this challenge an amazing spot for inspiration on a weekly basis!!! 2. One of my besties is having a baby sometime this week and I can't wait to welcome this little one!! I used the super super awesomely cute Onesie Twosie stamp set from Taylored Expressions to make my card - which needed up more CAS ... I was so surprised how quickly this card came together and how fun it was to make in the anticipation of this little baby who is on his way sometime in the next couple days!!! yay!! 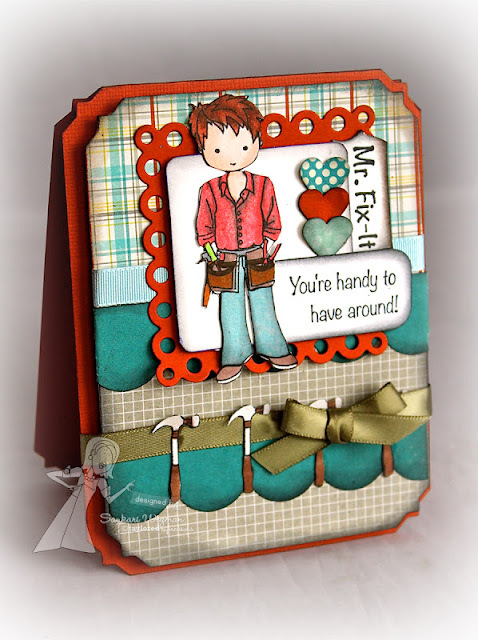 Accessories: heart punch, corner punch, silk ribbon, TE medium scallops, circle punch and spellbinders, dimensionals and glue dots. I am SO excited to welcome this little angel and Loved making this little boy card! This stamp set is so versatile - both open and closed onuses (for coloring or solid stamping) and with little images to put on the onesie (like a cupcake or dump truck etc.) LOVE that!!! 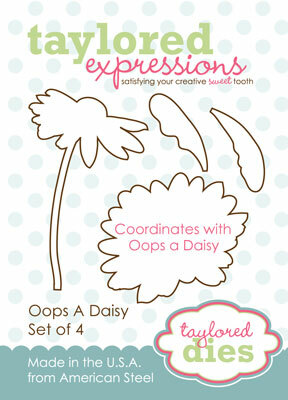 Please check out all the sketches that you can play along with over at Taylor's Blog!! Thank you so much dear Taylor and Sketch Crew for providing such a fun and sweet place for some creative inspiration! Congratulations on all that you have accomplished! I have loved playing along with the sketches, have loved making some sketches and have drooled over all of your gorgeous creations over the years!!! 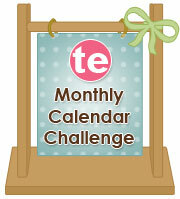 I love TE, TESC and YOU!! Hope you are doing great! Well, let me tell you! I am swimming in way too much! I started some big projects and always am trying to write my dissertation and in the middle of everything the kids spring/summer activities have me running around at full speed :) BUT, I think I am finally figuring out the balance of it all :) AND I am so excited to finally sit at my craft room - I wanted to make a special card for my DH - we are celebrating our 11th anniversary and couldn't wait to make him a special card! Accessories: Stickles red, Pennant Border Edge die from Taylored Expressions, bling, corner punch, heart punch from MS, Spellbinders and EK success die punch and dimensionals. All the monsters in this set are soooo adorable - I mean really - just stamping them makes the card super cute! 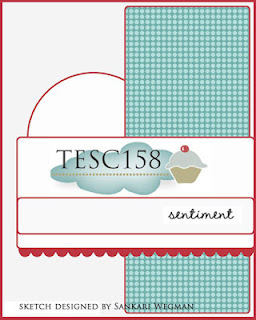 Check out all the little monsters and sentiments here: Love Monsters set from Taylored Expressions! 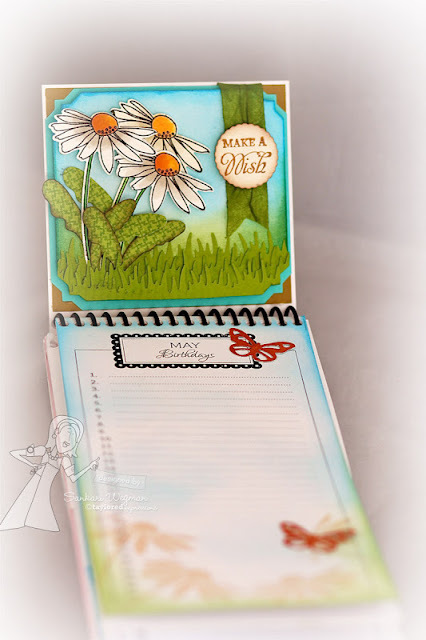 This month I chose to decorate my Perpetual Occasions Calendar which is a great way to keep track of birthdays and anniversaries in every year, with the beautiful stamp set: Oops-a-Daisy that was just released this month and I paired it with the coordinating Oops a Daisy dies (set of 4) from Taylored Expressions. I cut out a little square piece of paper from my Choice Snow White card stock to which I sponged some sky and some grass with different inks of green and blue. I then stamped and cut out with the dies the open daisy which I colored (the stamp set comes with an open daisy that you can color or a solid stamp set of the daisy where you can stamp it in a solid color and it will appear as a silhouette. 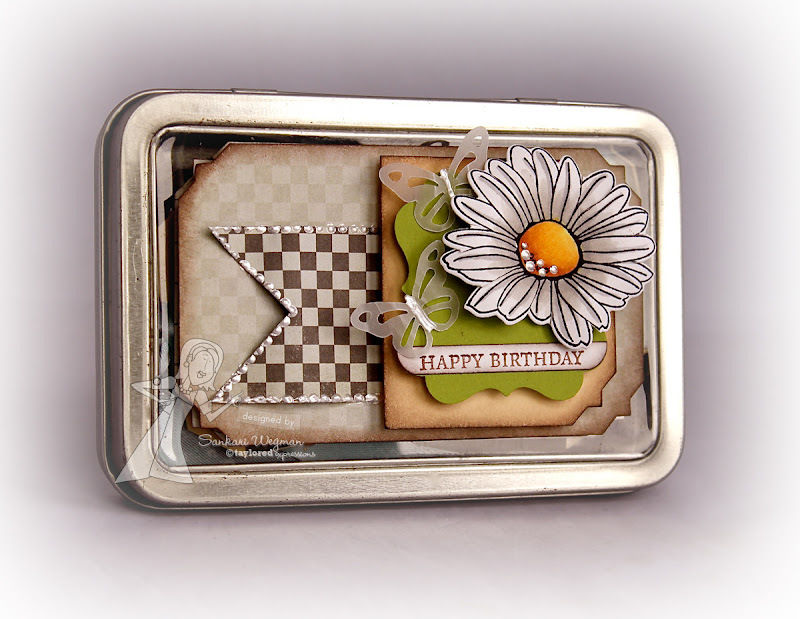 I cut out the daisies with the coordinating die (makes it so super was to cut it out perfectly!) and then arranged them on the sponged card stock and added some grass and some leaves from the coordinating leaf die (which was die cut from some green scrap DP). Today is release day over at Taylored Expressions and we are celebrating by showing you a creation form one of the newly released stamp sets! 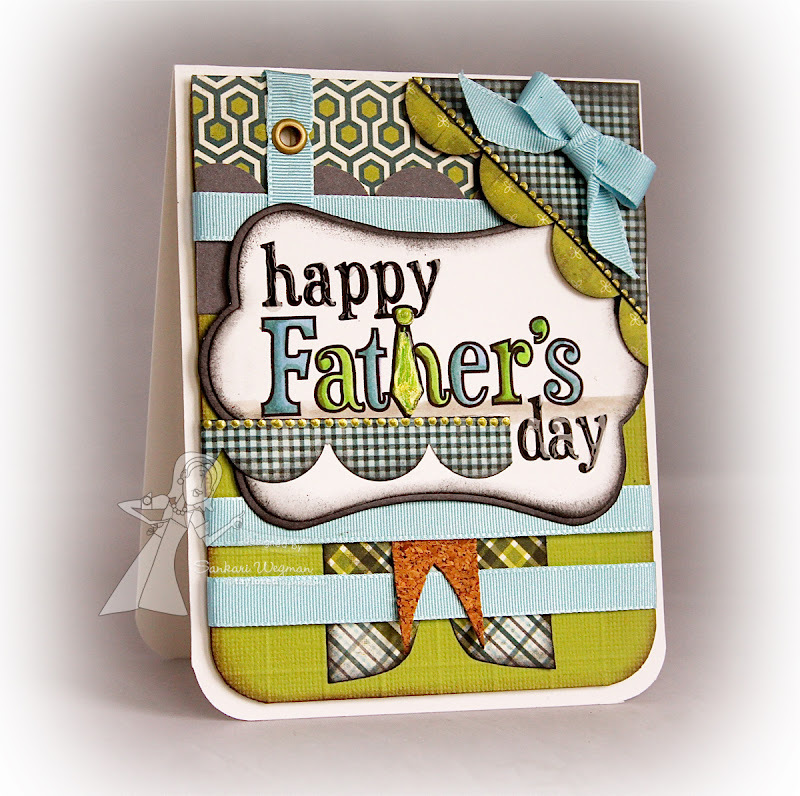 For my card today, I am sneaking a sample from the Father's Day Digi stamp set which is FREE with the purchase of one of the bundle deals that Taylor will be telling you about on her blog today! This digi will come with an inspiration sheet that shows all the creations that the DT has made with this stamp set along with, a link to download this image (and it will come with both an open line and pre colored image). Accessories:Frame It Up 1 die from Taylored Expressions, cork, eyelet, corner chomped, EK success scallop punch, liquid pearls and dimensionals. 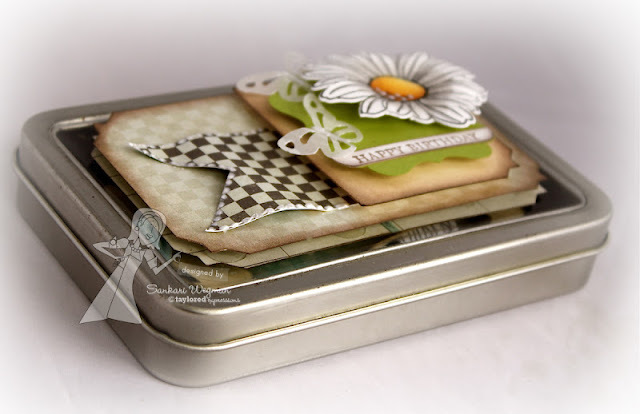 I love all of the Project Pantries because it seriously makes card making so easy to make a coordinating card with the perfect colored ribbon! 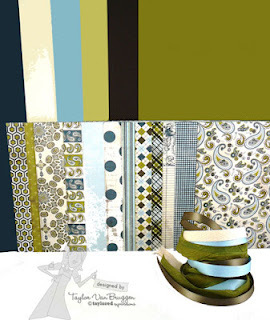 These papers just make the funnest boy cards - but its also a perfect mix of elegance witht he paisleys and the soft elegance of the softer colors. I love the different ribbons as well - so nice to have different textures of ribbons that perfectly coordinate! Please check out Taylor's blog for all the information on how you can get this free Digi and also all of the special deals and steals and special bundle offerings that she has got going on! 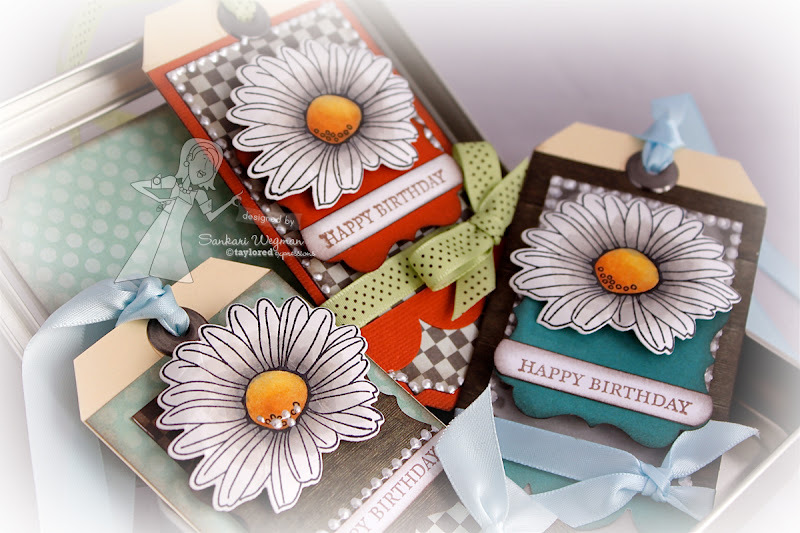 But first - please hop along with me and check out all of the gorgeous creations from the Design Team as we celebrate the release of all of the gorgeous dies, stamp sets, Loyal Project Pantry and all of the fun in creating with these gorgeous sets! Hope that you have been enjoying the sneak peek releases from this month's awesome stamp sets from Taylored Expressions! 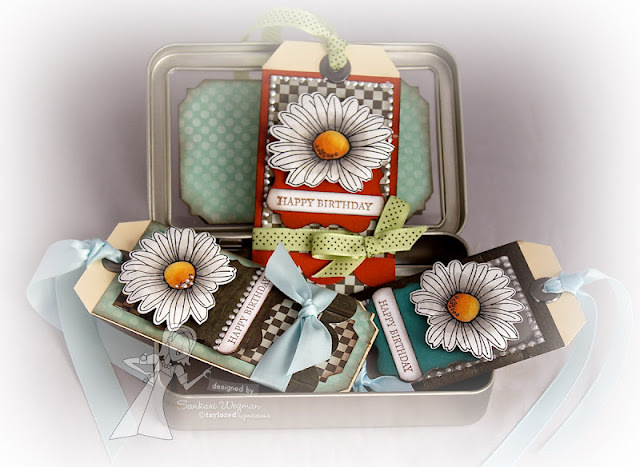 Today, I am peeking a the stamp set Oops A Daisy designed by the amazing Nancy McKinney and coordinates with 4 dies that makes it easy to cut out these gorgeous flowers (the flowers are both open and closed so that you can choose to color them in or stamp solid images). I used the open flowers and cut it out with the coordinating die and then colored them in gently with some gray copics. I thought it would be nice to create a set of happy birthday gift tags that someone can use when they give birthday presents. After making the tags, I decorated a Clear Topped Hinge to store the tags.